Here's another award-winning television show making its way across the Atlantic from the U.K. for a U.S. makeover (in addition to Skins coming to MTV). 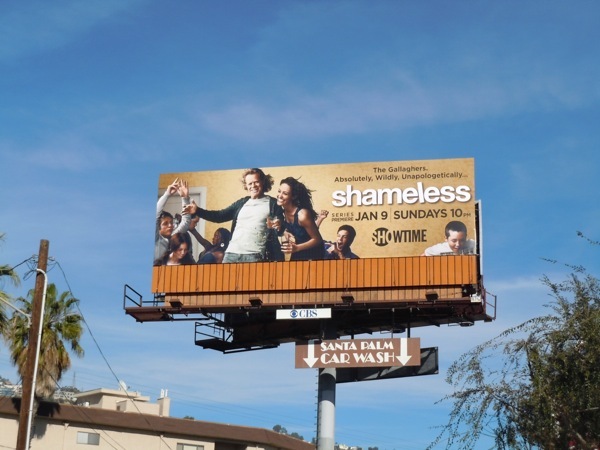 Channel 4's successful Shameless series will now be relocated to Chicago (from a Manchester council estate) for Showtime, and stars William H. Macy in the lead role as 'Frank Gallagher', the drunken father of his dysfunctional family of six kids. 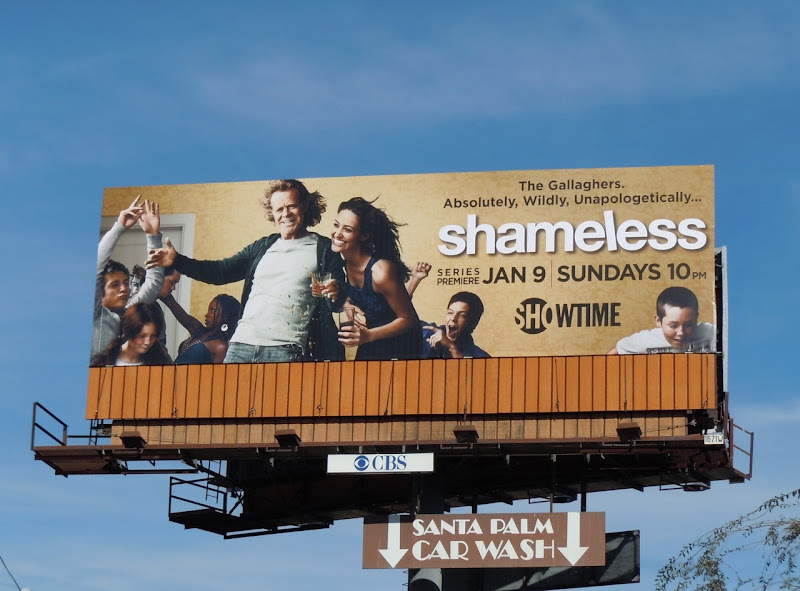 This rowdy billboard perfectly captures the spirit of the new show and was snapped along L.A.'s Santa Monica Boulevard over the Santa Palm Carwash on December 24, 2010.